Northern Thailand is known for its spectacular scenery, perfect weather, large swaths of untouched nature and friendly people — all of which make amazing hiking experiences. 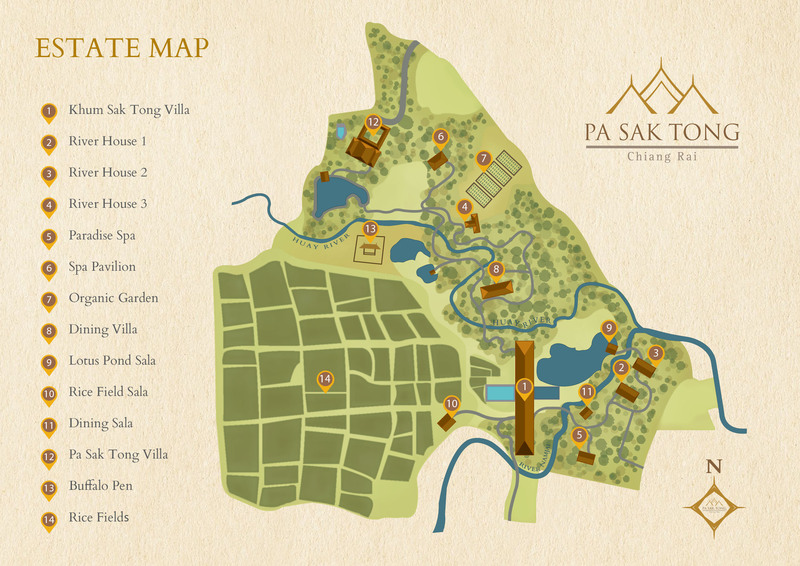 Pa Sak Tong Estate has a comprehensive series of hikes, all on trails maintained by our staff, that offer guests endless memorable miles through the local landscape. Head out the backdoor of Pa Sak Tong Esate for a relaxed hike to a terraced tea plantation. The hike then follows a scenic mountain lake bordered by rice fields and old growth forests before passing through a Lahu village. The road then winds through a rubber plantation and into natural grasslands. The views are beautiful throughout the entire hike. The jewel of our hiking experience is the trek on nearby Doi Chang (Elephant Mountain). In conjunction with the local hill tribes, Pa Sak Tong Estate has created its own trails on the top of this mountain landmark. Carved out of a combination of old hunting and game trails, you can experience trekking on untouched trails through virgin forests. Your experienced guide, an elder in the nearby village, leads you over the trials while describing not only the flora and fauna of the area, but also many of the unique customs of the Lizu people. The hike finishes with a gourmet picnic accompanied by your personal concierge overlooking untouched valleys. This is truly a once-in-a-lifetime experience and to see a hidden part of the real Thailand. "More than a home away from home ... better!"